Unsigned music acts and artists across the UK are being given the breakthrough opportunity of a lifetime with Firestone, whose Battle of the Bands competition is back for another year, featuring Orange Amplification and Wolf Alice bassist Theo Ellis. 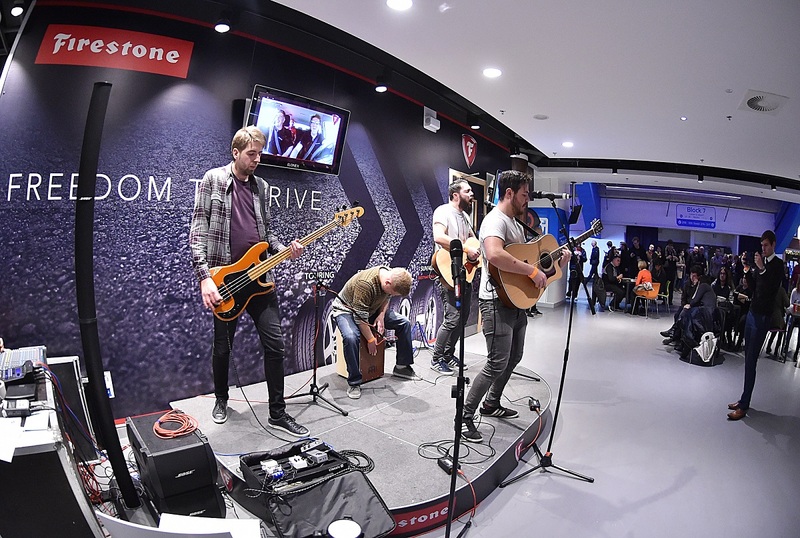 Firestone’s Battle of the Bands will provide hundreds of acts with the opportunity to showcase their musical skills, with the iconic tyre brand now promising to build on the successes of the past two years like never before. More than £2,000 worth of invaluable Orange Amplification equipment will be up for grabs for the winning band, not to mention studio time worth around £1,500 and support towards the creation of a bespoke EP album. Orange Amplification, returning partner Professional Music Technology (PMT) and Firestone will also have the responsibility of judging the entries and agreeing on eight shortlisted acts. A public vote will then decide which three acts will then have the opportunity to perform on the new look artist stage, located in the pre-show entertainment area on the Arena Birmingham concourse, where the final will take place on a date to be confirmed soon. Firestone enlisted the support of Orange Amplification, who celebrate their 50th anniversary next year, alongside one of their endorsed artists, Theo Ellis, to add their voice and support to the promotion. Firestone’s Battle of the Bands was created to give unsigned acts a chance to shine, with its ‘Be Heard’ strapline created to give musicians a chance to do exactly that – and hopefully make their big industry breakthrough. Battle of the Bands has officially launched with eight shortlisted acts eventually being selected after an October 22 closing date. The competition will then be opened out to an online public vote from November 13 to 23, with the top three going forward as the finalists to play on the Firestone Stage in the pre show entertainment area on the Arena Birmingham concourse on a date to be confirmed soon. An overall winner will then be announced in front of the biggest crowd they will have played to, at the famous indoor venue. Firestone’s brand manager Stuart Attfield said: “This will be our third Battle of the Bands competition and we are looking forward to it being our biggest and best yet. Music is ingrained in our DNA and dates back to our Voice of Firestone radio show in America many years ago. We are passionate about giving talented bands a journey to the main stage, which is why Battle of the Bands is such a vital competition for us. We wanted to build on two really successful years and engage with even more ‘grassroots’ musicians than previously. Our new ‘Be Heard’ strapline is particularly fitting as we think that every single artist should get the chance to have their own sound amplified to a big audience. Battle of the Bands will make sure that this will be the case for so many acts. With a range of tyres that build on a legacy of strength and reliability spanning over 100 years, Firestone reaches out to a vibrant and young-at-heart audience, giving them the freedom to live life in the moment. Firestone was acquired in 1988 by Bridgestone Corporation, the world’s largest tyre and rubber company. Bridgestone EMEA (Europe, Middle East and Africa), with headquarters in Belgium, is a wholly owned subsidiary of Tokyo-based Bridgestone Corporation. With more than 18200 employees, Bridgestone EMEA has offices in more than 60 countries, runs 14 tyre and tyre related plants and operates a major R&D Centre and proving ground. For more information about Firestone in Europe please visit www.firestone.eu.